In a bid to magnify the overall output for movie director SS Rajamouli’s dream Project - Baahubali 2, team Brand Street India and Why? Stay! Calm! have brought aboard two brands- Hike Messenger and Kokuyo Camlin. This partnership is to build the franchisee Baahubali and take it to the next level where the audience will be attached with some intriguing and interactive content. Further, Kokuyo Camlin, one of the renowned stationary brands with a diverse customer base across the nation, is organising a painting competition at Kidzania Mumbai. The selected 20 kids are going to get a chance to meet the star cast of the movie at an exclusive event where these kids will be showcasing their piece of art to the stars of the movie. The brand also plans to engage the kids during summer camps as an extended promotional activity. A social media campaign on the lines of creating a trailer by using one’s own creativity has already been executed on their page. 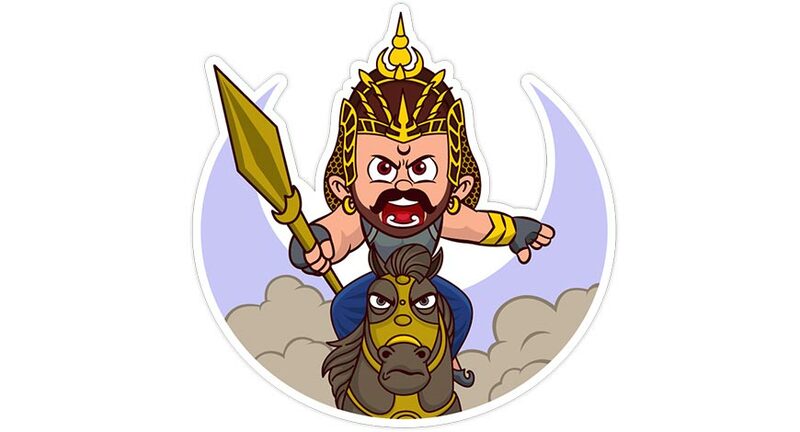 Camlin is also promoted on Baahubali Social media pages every Friday as "Camlin Friday Fan Art" where Baahubali fans share their piece of artwork and paintings on Baahubali pages. This association has been creatively implemented by Why? Stay! Calm! Who are strategic partners to Brand Street India in the domain of Film Integration & Content Production. They have recently been instrumental in the association of Lotus Herbals' with Jolly LLB 2, Uber's with Phillauri and Voltas AC's with BadrinathkiDulhaniya. movies Kokuyo Camlin Hike Messenger why?stay!calm!